AimValley provides products and services for telecommunication and data communication equipment manufacturers. A group of enthusiastic telecom specialists, experts in systems engineering, software development, hardware development and ASIC/FPGA development form the solid foundation of the companies. The Aim Companies provide services ranging from contract development and consultancy to the development of complete OEM solutions for their clients. The field of expertise spans all aspects of Carrier Class Reliable Optical Networking, including SDH/SONET and Data (Ethernet/IP) solutions. AimValley performs their own test development and production is done by a contract manufacturer. The typical AimValley board incorporates microcontrollers from Freescale Semiconductor plus Altera or Xilinx FPGA’s. Firmware debugging is done with professional emulation tools, and often the hardware verification has been forced to be done with the same emulation equipment. The older methods with DMMs, scopes and logic analyzers are no longer practical because of the lack of access for probes and clips. But unfortunately, using emulations also has drawbacks, because hardware designers may not be familiar with the emulation tools and the complete uP structure. Furthermore, use of an emulator requires that the firmware be debugged and verified before hardware check-out can proceed, so there’s interaction and extra time required before the process is complete. By separating hardware and firmware verification, JTAG Live Buzz allows AimValley to streamline the new product introduction cycle. Hardware engineers can debug their boards without having to wait for any working firmware. If hardware changes are needed, the re-spin can take place in parallel with firmware development, saving valuable time. Furthermore, hardware engineers who are not normally familiar with firmware emulation tools now have an extremely easy tool to use for their portion of the debug effort. AimValley is already on-board with the use of boundary-scan techniques for production testing. 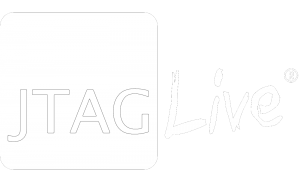 Now, with JTAG Live, AimValley envisions equipping all of their hardware designers with Buzz along with a subset of users for the add-on tools Clip and Script.